Who Could Replace Benitez if he leaves? – NUFC blog – Newcastle United blog – NUFC Fixtures, News and Forum. In the world of football, we have been taught to always expect the unexpected. With Newcastle United, we have been taught to expect the down right ludicrous. Over the past decade, the club has been relegated twice, promoted twice and almost run into the ground by an owner who has made it clear the football club is not his priority. 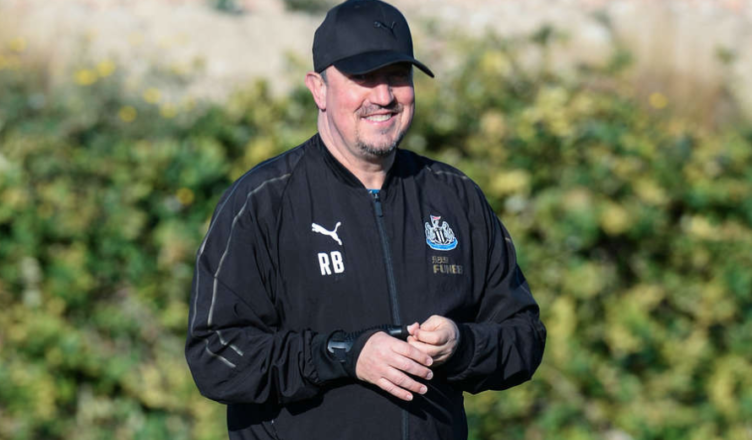 How the club managed to attract Champions League winner Rafael Benítez in the Spring of 2016 and then retain him with the club soon demoted to the Championship remains something of a mystery. Perhaps it was Rafa who took a gamble on Newcastle United to revive his own managerial career, although at the time he didn’t have many top clubs to choose from in the same way a visitor can take his pick when looking at an e-sports betting guide. The former Real Madrid man has shown remarkable loyalty to the North East club despite little to no investment and constant turmoil behind the scenes and fan protests at games. However, because of that, it seems the threat of the Magpies biggest asset walking away has never been far away, even when recent results haven’t gone our way. Few would blame him either, but who could step into the hotseat should the Spaniard decide enough is enough? The current Celtic boss has nothing left to prove in Scotland after winning the lot with the hoops since taking over in May 2016. Winning the Scottish treble two seasons in a row and going the season unbeaten is certainly job done for Rodgers to prove to the world he is ready to return to the Premier League after spells at Watford, Reading, Swansea, and Liverpool in England. After almost guiding Liverpool to the title, Rodgers still has a reasonably well thought of reputation south of the border with the Magpies offering the Northern Irishman a platform to potentially build a big future for the club. It may seem absurd that a man who is charge of a club that sits in eleventh in the Premier League would even consider taking over a side currently enduring a critical relegation fight in sixteenth. However, if the Magpies do indeed stay up, then Newcastle would be a tempting prospect for many a young manager. After all, there is little further Howe can take the Cherries as the long-term ambitions of the two clubs looks very different indeed (subject to a change in ownership). Newcastle has the fan base and infrastructure to mix it with the big boys whilst from the outside it looks like Bournemouth are just happy to be there. It is about time Eddie Howe stepped out of his comfort zone and took on a challenge of another kind. It is easy to snigger at the very mention of the name Moyes after his Manchester United and Sunderland exploits, but let us not forget that here is a man that established Everton as a top eight Premier League side. That is something that the Magpies can only dream of and despite relative failings since, surely, they have only gone on to give Moyes even more experience of difficult circumstances. Of course, Moyes is a man that managed arch rivals Sunderland, but after taking them to relegation Moyes is probably something of a hero at St James Park. Why not, you can get them at 500/1 to be the next Newcastle managers. Rather have Ant & Dec than Moyes. Serious though if he would come I think we could do worse than Jose. For one thing he loves St. James’ Park and its connection with Sir Bobby who he adored. He has always appreciated the Toon fans and the passion here. But the big BUT is his spending is way way above anything Ashley would agree with. Im sorry to say our ONLY out will be Ashley selling and a new owner coming in! Either that or we will join the mackems in the cellar of football or even Gateshead!